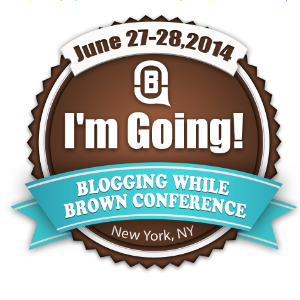 Posted on July 13, 2014 by Warin	in blog, Blogging While Brown, Conference, New York City. A few weeks ago I was in Harlem attending the Blogging While Brown conference for the first time and learned quite a bit. The most striking being that so many people are no longer waiting on “traditional media” to tell their stories, but instead, are using new platforms to tell their own. Telling stories and differing perspectives have been going on for as long as humans have been able to communicate. With the ever evolving landscape of technology, blogs have been at the forefront for enabling communities (particularly those of color) that have either been ignored or forgotten about by mainstream society, to make sure their voices/brands are noticed. It is because of this, that I felt compelled to attend Blogging While Brown. It truly was a great experience. I was fortunate enough to meet a number of bloggers who are writing about everything from hair care, to health and fitness, to career services, and media. It certainly was inspiring to see so many other bloggers of color who were making their stories and voices known throughout this space we here call the internet. Fostering relationships in any profession is key, especially among bloggers. I myself made a few connections with people and the conference overall made me think about just what I want for FilmSwag and ways to continue to grow. I certainly would recommend the conference for bloggers of color and hope to attend next year as well. For more info, you can check out the website here.